Indian Folk Dolls Individually created, these Indian Folk Dolls have been lovingly handmade by the ladies of Empower Her - A Project set up in April 2015 in down town Rishikesh with the mission to empower underprivileged women and provide an education point for 40 children in the locality. The beautiful handcrafted folk dolls are all quite unique in their dress and features and are part of a collectible range. 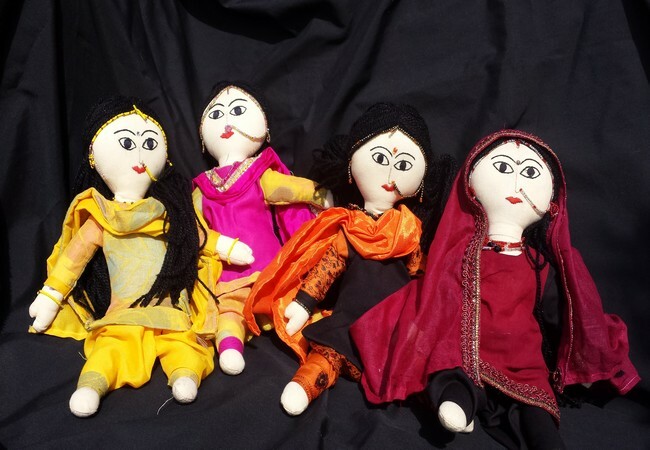 Proceeds from the sale of these dolls goes directly to the ladies at Empower Her and to Pankh Creative School, Rishikesh. Please Note: This is not a toy. Due to the beaded detail these are not suitable for children under 14.